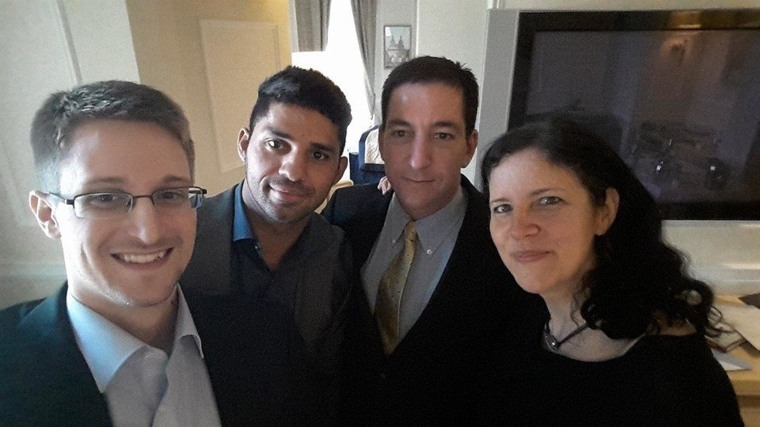 Edward Snowden recently posed for a picture with the two journalists responsible for making him a household name. The image shows Snowden, the self-revealed NSA leaker, with David Miranda, Glenn Greenwald and Laura Poitras in Moscow according to a Tweet from The Intercept. Miranda, Greenwald’s partner, posted the photo on Facebook Thursday morning.